A podcast about all things Macintosh. For Mac geeks, by Mac geeks. Episode 102. We take a closer look at some of the new features in the OS X Finder in Lion and reveal some cool new tips and tricks you can employ to make the most of your file browsing. A podcast about all things Macintosh. For Mac geeks, by Mac geeks. Show 371. This episode features a conversation with friend and fellow podcaster David Sparks. I recently did a talk at the Mac Computer Expo titled, iPad, Beyond Web and Email and David just released his new book, iPad at Work. Many of you have asked if I could go over my MCE presentation and discuss some of the tips, tricks, apps, and workflows for using your iPad to do more stuff. Since David literally wrote the book on using your iPad for work I figured this was a perfect opportunity to discuss using your iPad to get more work done. A podcast about all things Macintosh. For Mac geeks, by Mac geeks. Episode 101. Depending on who you ask Apple’s new voice enabled personal digital assistant Siri is the next revolution in computer interface or just a passing iGeek fad. In this episode I take a look at why Siri is getting some much attention and attempt to understand why Siri understands us. A podcast about all things Macintosh. For Mac geeks, by Mac geeks. Show 370. iPhone 4S demand and margins high. iPhone 4S, the unworldly “world phone”. Apple’s investment in processors. A5 Powered Apple TV. Impressions of iOS 5. Apple’s new iOS apps. iPhoto ’11 9.2 update. Impressions of the iPhone 4S. iTunes trouble with Firewall. A podcast about all things Macintosh. For Mac geeks, by Mac geeks. A special episode of the Maccast recorded live at the Mac Computer Expo 2011 in Petaluma, California where I moderated the keynote presentation. This year we continued on last years theme and presented “iFuture Continued”. I was joined by Jason Snell (Macworld), David Sparks (Mac Power Users), Jean MacDonald (Smile), and Jeff Gamet (Mac Observer) where we attempted once again to predict what the future of Apple may be. A podcast about all things Macintosh. For Mac geeks, by Mac geeks. Episode 100. I finally get around to doing the follow-up to episode 031 where I talked about how I record the Maccast. In this episode I go over all the methods, software, and trick I use to prep the show. This show was recorded just a day prior to the announcement of Steve Jobs death. I was extremely sadden to hear the news and debated on what to do about this episode. In the end I decided to release it as is with a special introduction. 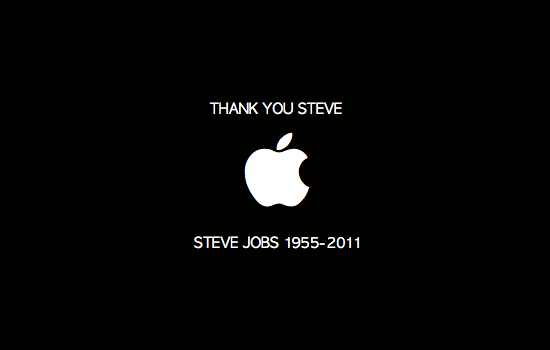 I think the best way to honor Steve and his legacy is to continue to use the amazing things he gave use to make our dent in the universe. The Maccast may be more like a ding, but I plan to continue to do just that. A podcast about all things Macintosh. For Mac geeks, by Mac geeks. Show 369. On Tuesday Apple held their special “Let’s talk iPhone” event on campus in Cupertino. I invited David Sparks (Mac Power Users) and Ken Ray (Mac OS Ken) on the Maccast for some re-cap and commentary and as always it was a great conversation and a ton of fun, so enjoy. A podcast about all things Macintosh. For Mac geeks, by Mac geeks. Episode 099. Today was Apple special “Let’s Talk iPhone” event and I have an exclusive recap for Maccast Members. I share my first thoughts and impressions on the event and the products announced, as well as offer details on what’s coming and when.